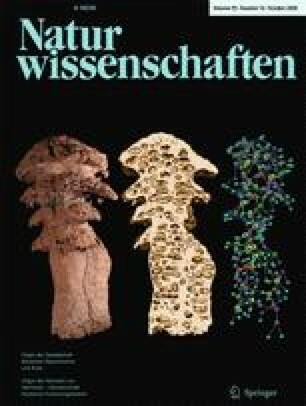 Although associations between myrmecophytes and their plant ants are recognized as a particularly effective form of protective mutualism, their functioning remains incompletely understood. This field study examined the ant-plant Hirtella physophora and its obligate ant associate Allomerus decemarticulatus. We formulated two hypotheses on the highly specific nature of this association: (1) Ant presence should be correlated with a marked reduction in the amount of herbivory on the plant foliage; (2) ant activity should be consistent with the "optimal defense" theory predicting that the most vulnerable and valuable parts of the plant are the best defended. We validated the first hypothesis by demonstrating that for ant-excluded plants, expanding leaves, but also newly matured ones in the long term, suffered significantly more herbivore damage than ant-inhabited plants. We showed that A. decemarticulatus workers represent both constitutive and inducible defenses for their host, by patrolling its foliage and rapidly recruiting nestmates to foliar wounds. On examining how these activities change according to the leaves’ developmental stage, we found that the number of patrolling ants dramatically decreased as the leaves matured, while leaf wounds induced ant recruitment regardless of the leaf’s age. The resulting level of these indirect defenses was roughly proportional to leaf vulnerability and value during its development, thus validating our second hypothesis predicting optimal protection. This led us to discuss the factors influencing ant activity on the plant’s surface. Our study emphasizes the importance of studying both the constitutive and inducible components of indirect defense when evaluating its efficacy and optimality. We are grateful to Andrea Dejean for proofreading the manuscript, to Doyle McKey, Douglas Yu and two anonymous referees for their in-depth reading and relevant remarks, to Michaël Negrini and Jean-Michel Martin for their help in the field, and to the Laboratoire Environnement de Petit Saut for logistical support. This work was provided support by the Programme Amazonie of the CNRS-Guyane to AD and a research program of the French Agence Nationale de la Recherche (research agreement no. ANR-06-JCJC-0109-01) to JO.